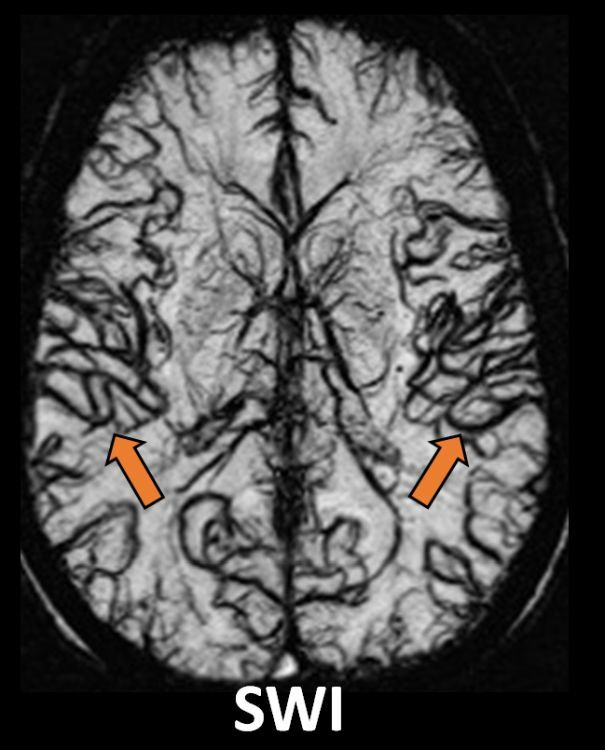 Intravenous iron administration (ferumoxytol) causes a positive susceptibility on SWI in the distribution of the cerebral vasculature, both arterial and venous (A, arrows), due to the paramagnetic properties of iron within the blood vessels. 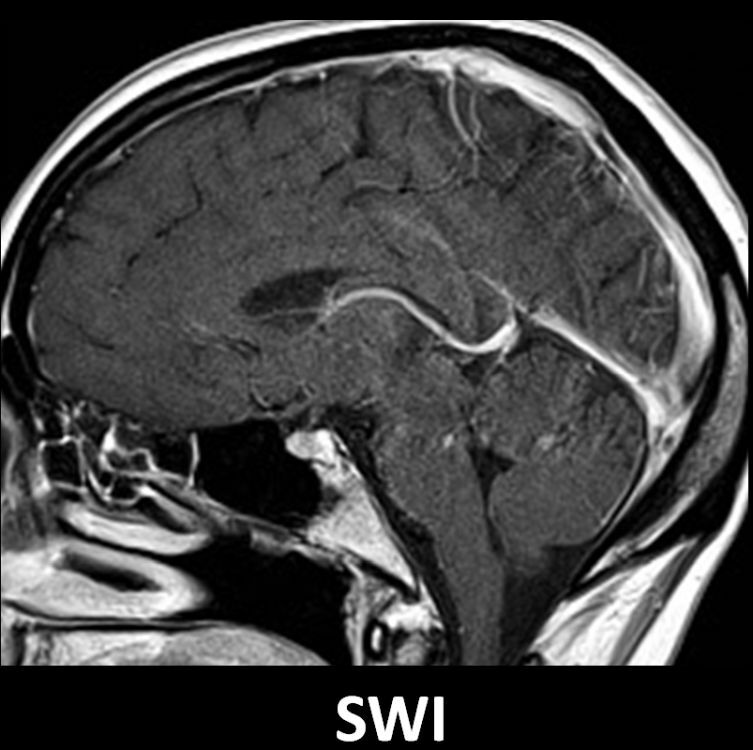 The degree of signal loss is proportional to the iron concentration. 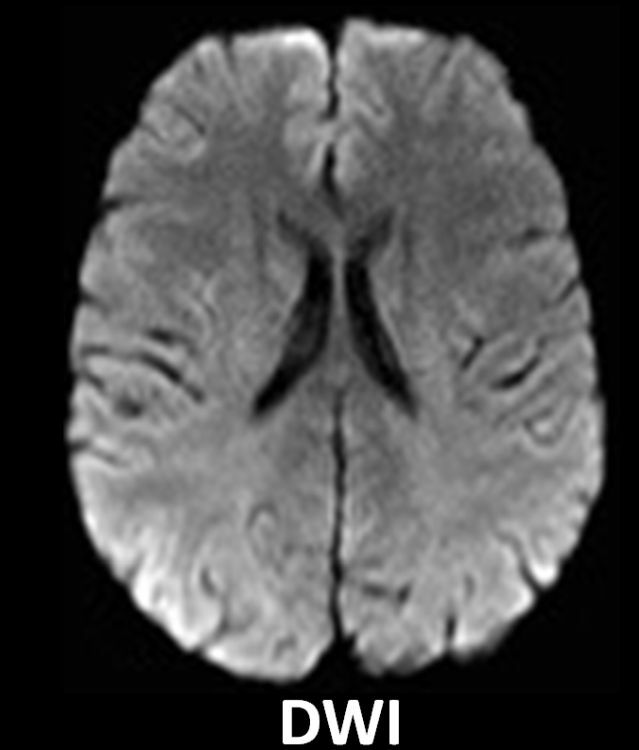 This entity can be differentiated from other pathologies by analyzing the additional MRI sequences (B shows no infarcts or anoxia; C shows no venous thrombosis) and the patient’s medical history.